Brad G. – This was my first time working with a debt management company. Although it will affect my credit short term, definitely a lot of positives with saving money and improving my credit in time. Brad was excellent in every way. Thank you for saving my life! Thanks for even helping me. you didn’t have to do this, but you did. Thanks. They took the time to explain the process and answered all of my questions. Justin A. was very knowledgeable and curtious and made me feel welcome. He explained everything in detail and was patient when questions were asked. He did not push or pressure me and was very nice. Thank You again Justin. Steven is simply amazing! He was always very professional and gave us hope that our debt situation could be solved. He was always available and on top of things! He provides truly exceptional and fast customer Service. 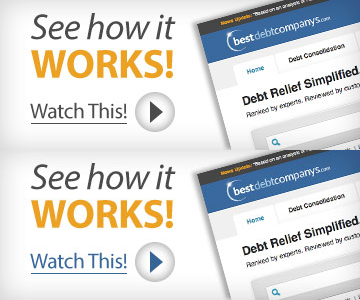 I give him and Accredited Debt Relief my highest recommendation!!! Tom P. was very helpful and encouraging. Amazing staff and amazing program!!! Thx so much. You have a very good employee in Sharicka B. The way she talks to you and makes you understand exactly what is going on and what is going to happen is the only reason I went with this program. Her voice is very relaxing and comforting and she does not treat you rudely because you are having financial problems. You would be a fool if you ever let her go. I am happy with the customer servcie. Corey is awesome! Very knowlegable and supportive! She gave me a great feeling about taking control of my finances and making a step in the right direction! Thank you, Corey! Continue the great work! Jeremy is awesome! I was unsure about the debt settlement because I have heard a lot of horror stories. Jeremy explained the options, how the program works, what the costs would be, and answered all of my questions. He was helpful and didn’t make me feel stupid for being in this situation. I could see that it was the best option for us at this time and Jeremy made me feel totally comfortable with the process. Would definitely recommend to anyone looking for help.